The J.F. Wahl Elementary Quiz Bowl Team defeated Clarendon Elementary with a two- match win of 470-320. The high point award went to Gabriel Gant who scored 180 points. Quiz Bowl is one of many activities sponsored by the HWHSD Gifted and Talented Department. Congratulations again Coach Dyer and the quiz bowl team. 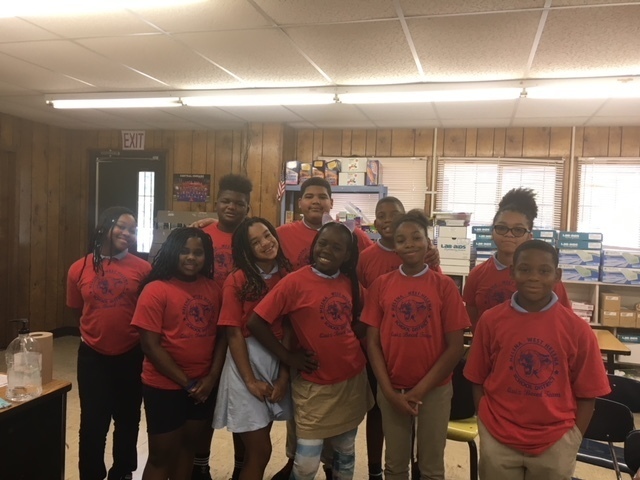 Pictured from left to right: MaKenzie Wright, Brooklyn Slater, A’Mahd Booker, Amiyah Bryant, Gabriel Gant, Saniya Jones, Kaden Jackson, Autumn Foreman, Ceniya Burkett, and Ollantious Shaw.